Social network content, web content, mobile data, enterprise application data and more are being generated at phenomenal rate. A question from business executives who fears that there is too much focus on capturing data and too less attention on leveraging data for smart business decision. We found that only 4% of companies in the world is utilizing available data and focus to take advantage. Big Data harness the power of data from multiple sources and improve decision-making right across your business. Big Data and advanced analytics are creating new opportunities for businesses to realize the value of big data, organizations need strategic – and not merely technological – solutions. Diagonal Matrix Big Data services delivers a strategy and roadmap to understand mine data for insights that enable better decisions and create value by considering business impact, available data, technology, applications, data sources and skills required. Diagonal Matrix Big Data team experts in establishing the foundation for long-term success, clarify specific objectives, and generate value quickly. Diagonal Matrix Big Data Strategy prepares you to embrace big data with confidence. What is Diagonal Matrix Big Data Strategy? Diagonal Matrix Big Data Strategy helps you exploit large, diverse, fast-moving data to improve business performance through real-time insights and enhanced intuition that improves business decision making and better predicts outcomes. Analyse available data and data sources, how it’s structured, what value it offers, and how to validate it for use. Identify and document opportunities available to your business through big data and how they align to your business strategy. Demonstrate how informed & better decision making is possible in real-time through big data, using sophisticated analysis of multiple data sources. 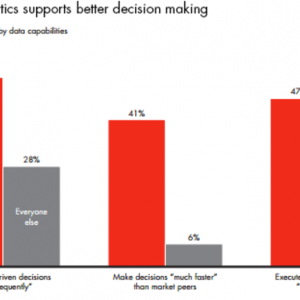 Transform business more flexible to market changes through big data predictive analytics. Demonstrate value and ROI on big data through proof of concept. How Diagonal Matrix Big Data Strategy Works? Here it works, we work through various assessment phases, such as business, data, IT systems assessment and an insight proof of concept. Business Value First: Diagonal Matrix Big Data Strategy engagement keep your business value first. That’s why we start with your needs, not with technology and then demonstrate potential with a proof of concept. The roadmap that we create for you will be prioritized based on business value. We give you a clear idea of how your organizational, informational and IT changes needed to embrace big data. We develop a robust business case to support ongoing investment. Big Data for informed decision: There’s huge and unutilized data available out there that could improve every decision your organization makes. See the Big picture, what’s available, prioritize data and data sources. You can’t do it all at once, Diagonal Matrix Big Data Strategy can lead you through this process. We assess your internal IT systems, tools and capabilities to determine how well they support Big Data. We ensure to utilize those resources so your big data strategy can be realized in an efficient and most cost effective manner.